Q: What’s better than landing a client that you can invoice? 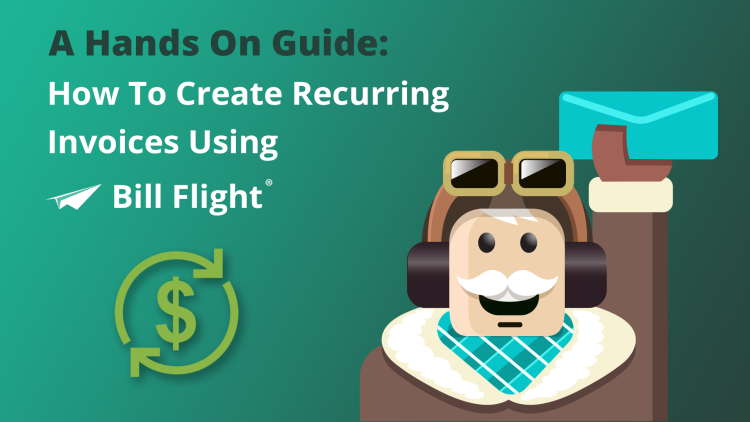 A: Landing a retainer/monthly work that allows you to invoice them on a recurring basis! With Bill Flight, you can set up invoices quickly and easily and then wait for the checks to roll in! First things first, we’ll want to set up a recurring invoice. Now for the nitty gritty. These fields will be what populates to the recurring invoice. 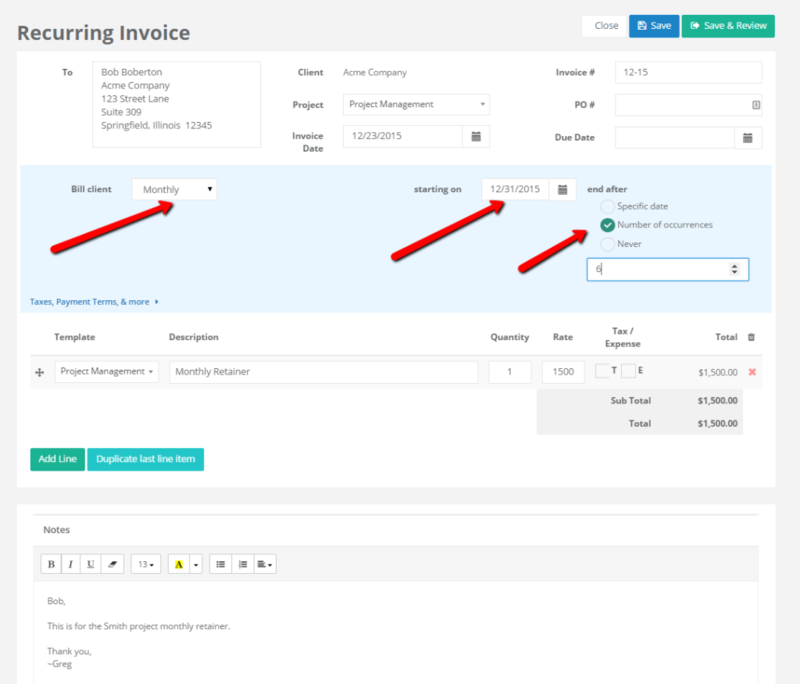 The main differences with recurring invoices in Bill Flight can be found in the blue highlighted portion below. It’s that easy! 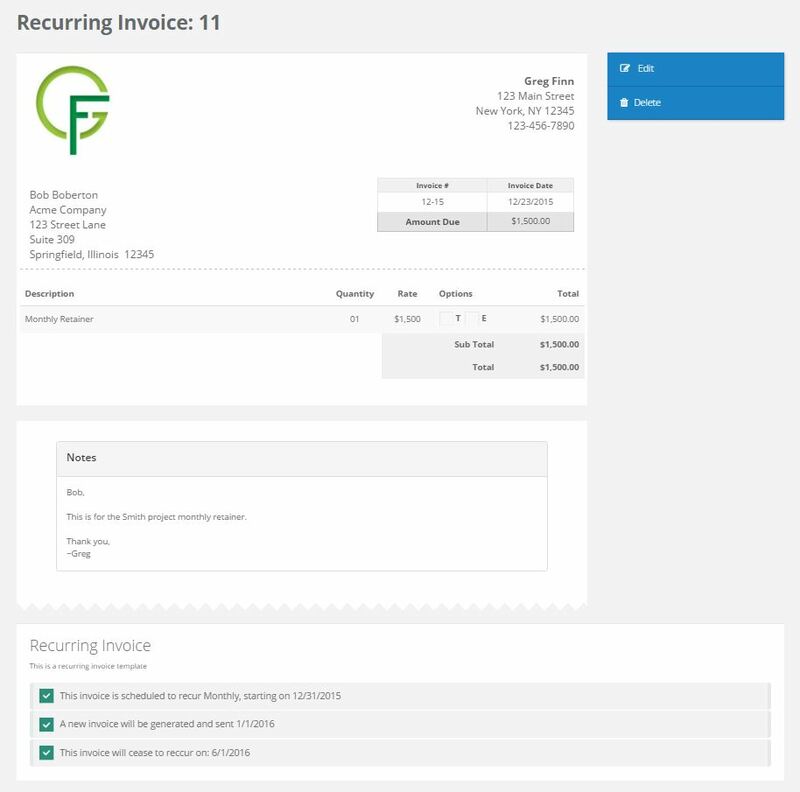 You can also hop back in and edit any recurring invoices no problem!